There are so many different ways to make detox water with many combinations of your favourite fruits and herbs. Not only do they have plenty of benefits for you, but detox water also makes drinking water a little less boring. Here are some of my favourite detox waters and their benefits + some other ideas to try. First and probably my favourite is a combination of Strawberry and Lime. Not only does the sweetness of the strawberry compliment the sourness of the lime but the flavour of the two go so well with one another. Another one of my favourites is a mix of Lemon & Lime with Mint. It is incredibly refreshing, a glass in the morning is enough to wake me up. I like to mix it up and add sparkling water and it taste just like a soda, best of all it’s great for you! Also lovely to have as a warm drink, lemon and ginger is another great combination. 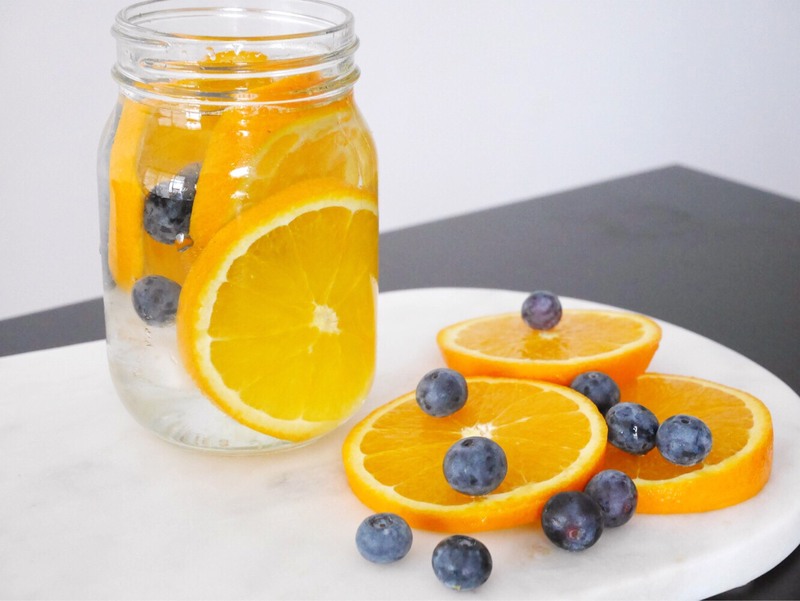 I’ve only recently started to try a mix between oranges and blueberry, I love eating both so I thought why not mix them together to infuse my water. I’m not a huge fan of apple cider vinegar but I surprisingly enjoyed this mix. I used sparkling water instead of regular water. This one is great for the summer! Love this as I only drink water and it gets boring. Will be sure to try some of these now the summer is approaching! Your blog is beautiful and I love your photos too!